Home / GERMANY 2017 / Germany 2017: Group C goes bananas! Group C in Oldenburg is going bananas. 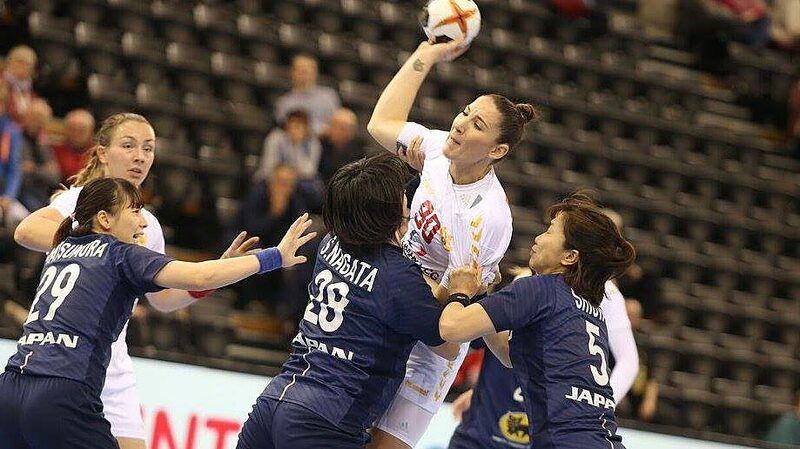 In a thrilling Match, Russia beat Japan by the minimum (29-28), Denmark defeated Brazil 22-20 and Montenegro obtained the 2 points against Tunisia in another tight match (29-23). The fight for the fourth place will be defined on Friday between the Balcanic, the Asians and the South Americans. Denmark and Russia are aready qualified for the eigth finals. The Balcanic team has one more chance to qualify for the eight finals. 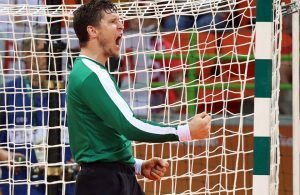 They picked themselves up after the tough loss against the Japanese sensation, and they beat Tunisia to earn their second victory and depend on themselves to go through to the last 16. The African team was giving their opponents a very hard time but in the end, the experience of the Montenegrin stars prevailed and the Europeans took the two points. The first half finished 13-15 in favor of the conducted by Per Johansson, and one of the keys for such short distance was the Tunisian goalkeeper Echrah Abdallah, who finished the match with a 36% save rate. When it looked like they had taken control over the match, the Tunisians fought back. They tied the match a couple of times, but on the last 9 minutes, it was hard for them to come back as Monentegro had taken a 5 goal lead. MVP of the match was Raičević, who scored 9 goals. 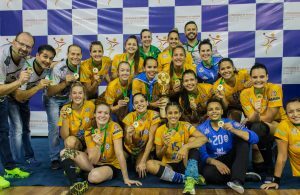 The Europeans will face Brazil on the last round of the group and a win will give them a ticket for the eight finals in Magdeburg. The Japanese team continues to surprise in Germany and it’s definitely the revelation of this #SimplyWunderbar. This afternoon, when they stepped on court to face Olympic champions Russia, no one expected such a tight fight, no one but them, that’s a fact. The coached by Evgeny Trefilov found themselves under pressure in great part of the match. At halftime, the score was 13-11 for Russia. On the second period, the Russians got themselves a 5 goal difference in their favor after 11 minutes (20-15). And while it really looked like they had really taken off, the Japanese continued to fight back with their frenetic pace and cut the difference to 1 (22-21 at 18’). The Russians streched the gap again and set the 29-26 that looked definitive with only less 3 minutes left on the clock. But once again, the conducted by Ulrik Kirkely caught up and scored for the 29-28. A penalty shot caused by Japan’s Sayo Shiota 57:59 was likely to be the end of the story, but the Norway-born goalkeeper Sakura Kametani saved the day and gave her team one last chance. With a minute and some seconds left, Japan attacked with 7 players and obtained a penalty shot which Nozomi Hara exchanged for a goal. 29-28 with the last posession for the Europeans. The intense Japanese defense forced Anna Vyakhireva’s attacking foul with 20 seconds left and the last ball was now for the Asians, who could tie the match after having lost the entire time. The ball moved from side to side, a space was open on the rigth and Yui Sunami (MVP) flew in convinced, but the defence closed before her and while she could’ve dropped the ball to Ayaka Ikehara, who was waiting alone in the corner, she commited an attacking foul and lost the last chance to even the scoreboard. The victory put Russia at the top of the group, and already qualified for the next phase. Another thriller in Oldenburg was starred by the Pan American champions and bronze semifinalists of the last EHF Euro, Denmark. Their last encounter in a major tournament saw Brazil celebrating a pass into the final of the World Championship in Serbia, in 2013. This time around, the story had a happy ending for the European, who gor the two points and secured their spot in the eight finals after a 22-20 victory. The first 30 minutes very even, but Brazil was having the lead until Sandra Toft stole the show. The South Americans were leading by three, but could not get past the Team Esbjerg goalkeeper, who along with captain Stine Jørgensen, helped Denmark step up and even the match. The last goal of the first half came from the right wing, Simone Bohme jumped against Bárbara Arenhart and while it looked like she landed before she dropped the ball, the goal was valid and it gave Denmark the tie: 13-13. On the last period it was all even again, but after 14 minutes Denmark managed to be ahead in the match for the first time since the first two minutes of the encounter (15-16), and from that moment, they led for the remaining of the match. Brazil tried hard to come back, but again, Toft denied them. It was 22-20 for the Scandinavians, who will decide the top of the group on Friday when they face Russia. The nine goals from Jørgensen were crucial for this victory, but the MVP went to the goalkeeper.